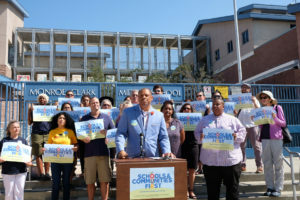 On October 15, Schools and Communities First, a powerful statewide coalition of nearly 300 endorsing community organizations, labor unions, business leaders, philanthropic foundations and elected officials, announced the official qualification of the California Schools and Local Communities Funding Act for the November 2020 ballot. This will be the first commercial property tax reform initiative to qualify for the ballot in 40 years since Prop 13 passed in 1978. On August 14, simultaneous press conferences were held in 5 different cities across the state to announce the submission of 856,648 signatures in support of the measure, which needed 585,407 valid signatures to qualify. October 15 was the deadline for California’s 58 Counties to complete a random sample count, and today the Secretary of State announced qualification of the measure due to an exceptionally high verification rate. Due to a large scale and sophisticated statewide volunteer signature gathering program expertly planned and executed by the coalition, the measure has qualified for the November 2020 general election via the random sample process instead of a full count. This is a significant achievement as more than 90 organizations and thousands of volunteers collaborated to ensure enough signatures were submitted to nearly guarantee qualification on the 2020 ballot in the most populous state in America. Over the last 40 years, California has lost hundreds of billions of dollars in revenue, leading to chronic underfunding of schools, services, and local communities along with poor local land use decisions, and a spiraling housing crisis. Schools and Communities First is the first structural and equitable tax reform in four decades. It will reclaim over $11 billion for schools and local communities, shaping a new legacy of investment in the people of California. If passed, the California Schools and Local Communities Funding Act would close the millionaire and billionaire corporate tax loophole in Prop 13 by requiring all commercial and industrial properties to be assessed at fair market value, putting California on par with how the vast majority of the country assesses commercial property. The measure will reclaim $11 billion every year, roughly half allocated for K-12 schools and community colleges, and the remaining allocated to counties and cities according to current property tax guidelines. The measure maintains Prop 13’s current protections for homeowners, renters and agriculture, and includes small business tax relief and oversight and accountability. The case for split roll reform has been bolstered recently with the publishing of a peer-reviewed study by Dr. Chris Benner of UC Santa Cruz. His research found that passing a split roll reform measure in California would strengthen the economy, debunking a faulty 2012 Pepperdine study that claimed Prop 13 reform would lead to job loss. 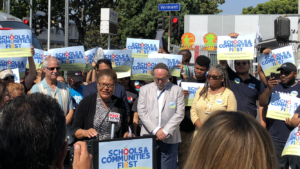 In addition, major endorsements from elected officials like State Senator Connie Leyva, and a unanimous vote of support from the Los Angeles Unified School District, the largest in California and second largest in the nation, have helped compound recent momentum around the initiative. Now that the initiative has qualified early, the Schools and Communities First Coalition will spend the next two years expanding the coalition, building public support, and raising the needed resources to counter the opposition’s misinformation campaign, which has already begun. 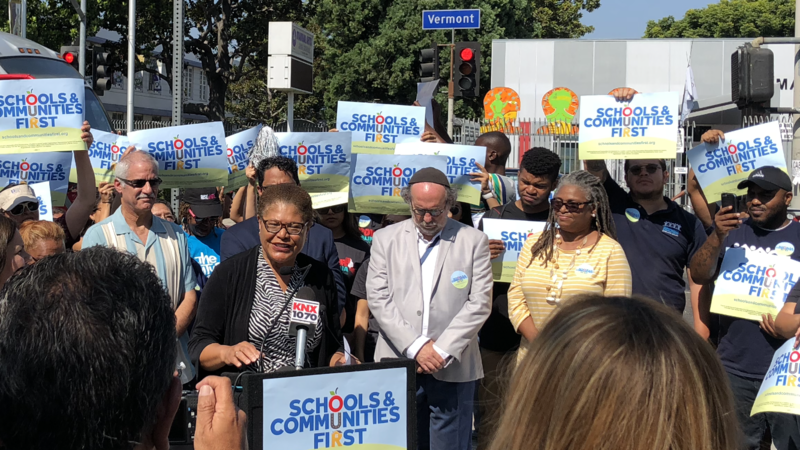 By a vote of 6-0, the Los Angeles Unified School District Board of Education unanimously voted to endorse the California Schools and Local Communities Funding Act, also referred to as “Schools and Communities First”, which will appear on the November 2020 Ballot. The initiative would reclaim over $11 billion annually for schools and communities statewide by reforming the commercial property tax loophole created by Proposition 13 in 1978. Los Angeles County schools would receive an estimated $1.4 billion for K-12 education and community colleges . The Schools and Communities First Coalition submitted over 870,000 signatures last month in order to qualify the initiative, popularly known as “Split Roll Reform” for the November 2020 election. This endorsement represents a significant milestone, as LAUSD is the largest public school system in California and the 2nd largest employer in Los Angeles County. Board Members Monica Garcia and Dr. Richard Vladovic jointly introduced the resolution to support the measure. Since submitting over 870,000 signatures to qualify the initiative for the November 2020 ballot, Schools and Community First has very quickly picked up momentum garnering nearly 300 endorsements, including school boards, local officials, business leaders, philanthropic organizations, and community organizations. The Schools and Communities First coalition unites every region, demographic and sector of California – from north to south, urban and rural, workers and business leaders, seniors and young people, teachers and students, homeowners and renters, and long-time residents and newcomers. Over the next 2 years, Schools and Communities First will continue to expand the coalition, engage in public education to strengthen the path to victory, and raise the needed resources through the existing broad bench of major funders and thousands of small donors. The aim will be to catalyze a conversation in California over the next two years about the need for Prop 13 reform, and build to significantly increase turnout among new and unlikely voters in 2020. 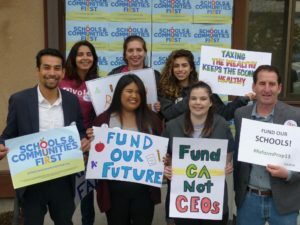 On August 14, Schools and Communities First, a powerful statewide coalition of nearly 300 endorsing community organizations, labor unions, business leaders, philanthropic foundations and elected officials, announced the submission of over 860,000 signatures to the 58 County Registrars to qualify the California Schools and Local Communities Funding Act for the November 2020 ballot. The coalition’s deadline to qualify for November 2020 is August 20th and 585,407 verified signatures are required. This will be the first commercial property tax reform initiative to qualify for the ballot in 40 years since Prop 13 passed in 1978. Simultaneous press conferences were held in 5 different cities across the state, including Berkeley, Los Angeles, San Diego, Fresno, and San Bernardino. Over the past 5 months, over 5,000 volunteers and 90 organizations collected more than 860,000 signatures. 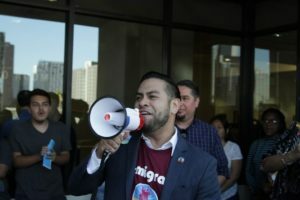 Hundreds of members of the coalition participated in the events across the state, which concluded with celebratory rallies after the formal press conference ended. August 14th is 6 days before the deadline to submit and the first day of school for many districts across the state. By qualifying this year for the November 2020 ballot, the measure will be placed at the top of the 2020 ballot and will catalyze a conversation over the next two years about the need to tackle Prop 13’s commercial property inequities, long considered the untouchable “third rail” of California’s politics. The case for split roll reform has been bolstered recently with the publishing of a peer-reviewed study by Dr. Chris Benner of UC Santa Cruz, “Market Value”. Dr. Benner’s research found that passing a split roll reform measure in California would strengthen California’s economy, debunking a faulty 2012 Pepperdine study that claims Prop 13 reform would lead to job loss. 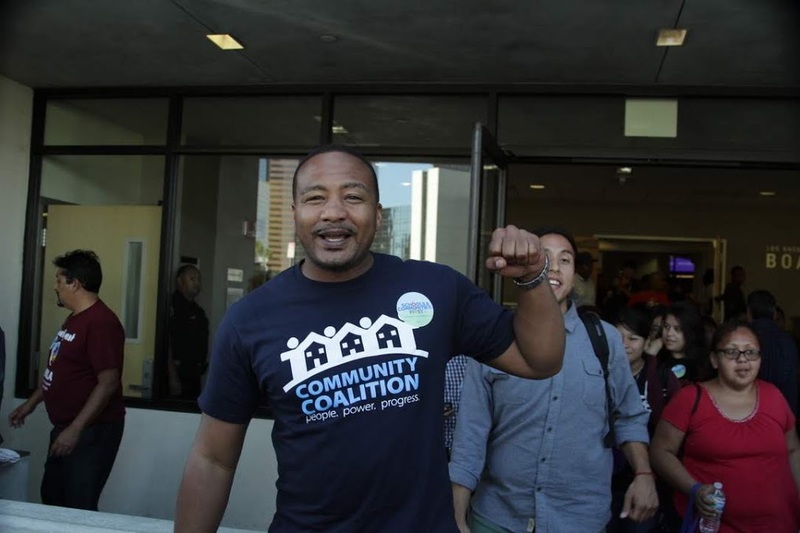 The Schools and Communities First coalition unites every region, demographic and sector of California – from north to south, urban and rural, workers and business leaders, seniors and young people, teachers and students, homeowners and renters, and long-time residents and newcomers. Over the next 2 years, Schools and Communities First will continue to expand the coalition, engage in public education to strengthen the path the win, and raise the needed resources through the existing broad bench of major funders and thousands of small donors. The aim will be to catalyze a conversation in California over the next two years about the need for Prop 13 reform, and build to significantly increase turnout among new and unlikely voters in 2020.